This whisky is largely double distilled corn, but with some rye blended in - similar to an older wiser's deluxe (there is both column distilled rye and double distilled corn in this). 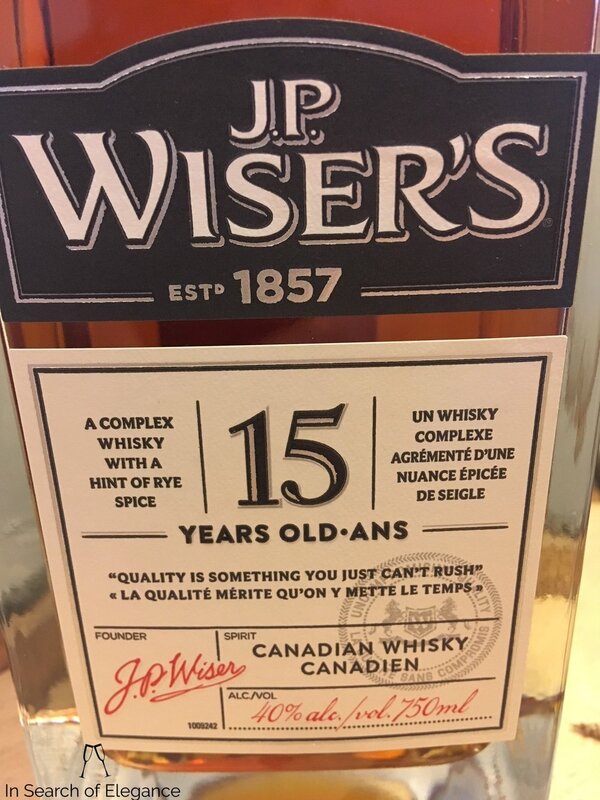 It is a recent addition to the lineup since it "fits in the family" as a go between, making a bridge from deluxe to the 18 year old. Sadly, it has replaced Legacy, a terrific whisky - and this is quite different. The nose is full of aged corn whisky – oily, lightly floral, with a corn oil type note to it. Light oak, and light old baking spice in the mix (especially nutmeg) – easy, well integrated, and complex – terrific aged whisky notes. Slightly rubbery, even. More broad and vibrant than the 18, with not as defined fruit and spice characteristics. The palate is sweet, with vanilla, blueberry, green apple, nutmeg, white pepper, and beeswax. The finish is sweet, slightly tannic, and drying with nutmeg, polenta, green grape, and green peas – it dries terrifically. A great addition to the lineup. Definitely not what Legacy was, which it is replacing in the lineup, but not bad at all. It is similar to the 18 year old, but broader in profile and a bit more vibrant, and not quite as deep. Value: High. Not quite what Legacy was, but this is still a very nice buy for the price. I like it more than the 18 year old, generally.